In the 1960s, small underground journals began springing up all over the United States of America. They had much in common: they opposed the Vietnam War, advocated sexual and artistic freedoms, and urged critical consciousness towards conventional authority and power relations. Some called for communal or cooperative living; and many warned of the dangers of uncontrolled technology, especially nuclear power. 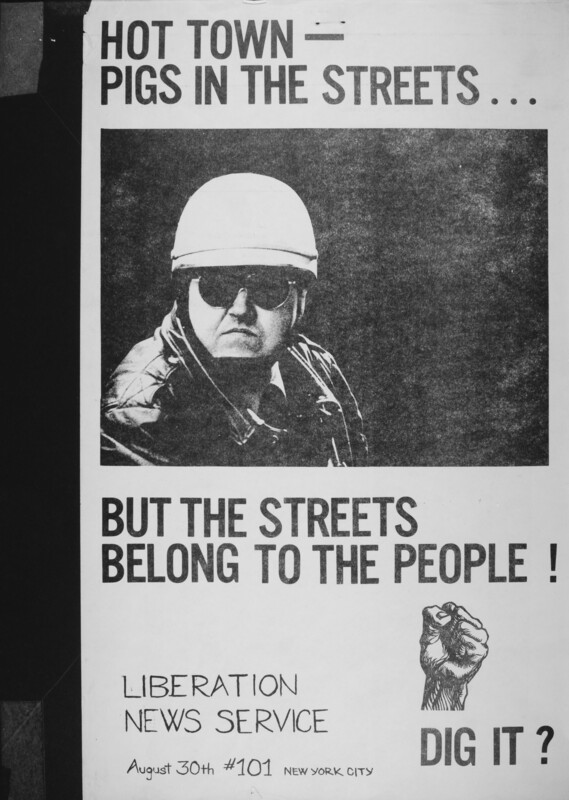 In many respect, the American underground press was a political and cultural break­ through. 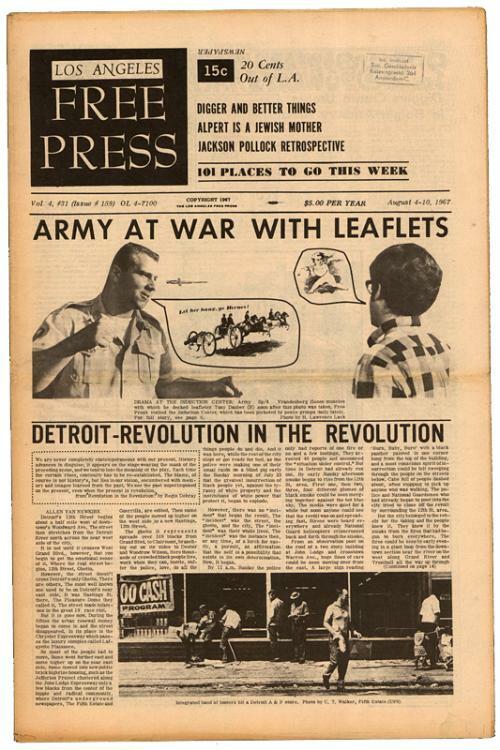 Among the many journals which emerged from that subversive American underground, the radical underground news agency Liberation News Service (LNS) is certainly key to understand the evolution of the American New Left but also of what has been called New Journalism. 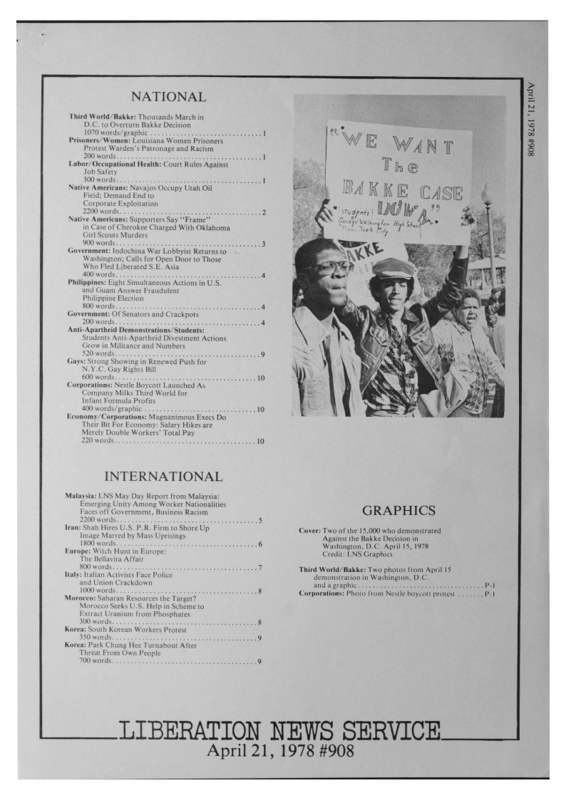 Former writers, photographers and printers of the LNS have begun establishing a web archive covering nearly every LNS news packet from 1968 through 1981. These journals were steady outlets for news about Vietnam, Latin America, police repression here and there. Not all of them were championing the revolutionary overthrow of the United States government. Most of them were products of enthusiast people, actively participating in the events they wrote about and coloring their stories with their subjective responses, “at a time when mainstream journalism was dead in the water” (http://www.amazon.com/Unamerican-Activities-Campaign-Against-Underground/dp/0872861279). Sympathetic to the Left but also very often sensitive to the Left’s own controversies, these journals were also under the pressure of the FBI. 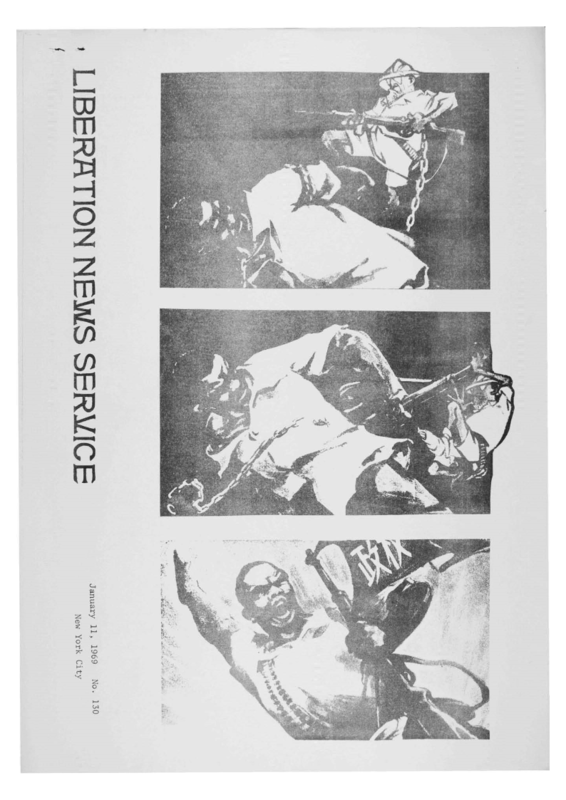 Through the years, Liberation News Service has provided its subscribers with information many of them can get no other place: LNS wrote about the Tiger Cages long before Congressman Anderson went to Vietnam; LNS ran an exposé of C. Arnholt Smith, the man who wields so much power in San Diego, last July—a good six months before Jack Anderson broke the story. 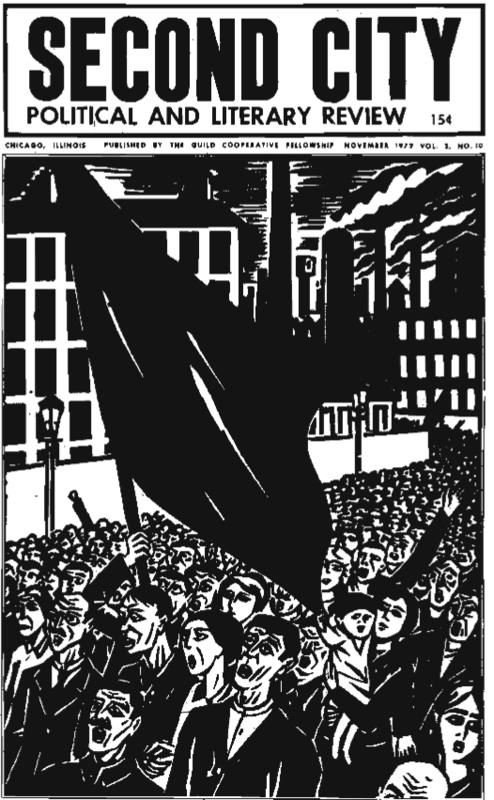 With the end of the Vietnam War and the erosion of the new Left, LNS lost most of its funding and closed down in 1981. Liberation News Service reporters and photographers have travelled to North Vietnam, Africa, and Latin America. They met guerrillas in the liberated zones of Guinea-Bissau and witnessed the beginnings of the new government of Salvador Allende in Chile… Not all the LNS news packages are made available online. The 1977 news packages until 1981 are yet to be uploaded. Nonetheless, flicking through the available issues is a joy to read and, without any doubt, a rich archive on the American subversive sixties to be (re)discovered. October 16, 1968 #111: Laos: A War in progress — VIENTIANE, Laos (LNS) — Furious guerrilla warfare, universally ignored by the commercial Press, is being waged on the battlefields of Laos. The liberation forces there have racked up significant victories in recent months. Among the casualties are American advisors, Green Berets, and dozens of American aeroplanes. The following article on the Laotian situation appears in the current issue of the Havana magazine, Tricontinental […]. Great resources! Thanks. I am confused by the “Anon” at the beginning of each Bibliographic entry. I have most of the books, and would be willing to redo the list and add to it if you would find that useful. Also, there is a major project underway to rescan all the US underground and alternative press of the 1960’s and 1970’s in full color for libraries. Thank you for your comments. It takes a couple of day for the Internet to generate automatically the references. Hence the Anon! I would be delighted to know more about this project you mentioned. 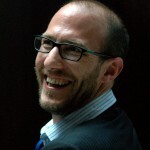 Perhaps you could contribute to explosivepolitics.com? Thanks. I would be honored to publish an American subversive! Thank you for your comment. Unfortunately, it seems that the archives are no longer available online. Renowned French photojournalist Marc Riboud, whose 1967 snap of a protester confronting US soldiers with a flower came to define the anti-war movement, has died aged 93 after a long illness. We will never share your information and you can unsubscribe with a single click anytime.